In addition to supplying the woodfuel products outlined, we are happy to undertake processing of your own firewood on a contract basis. 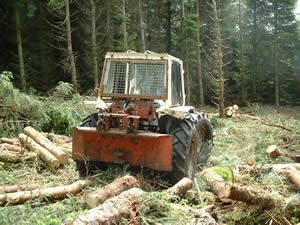 Chipping of your own timber can also be carried out to either produce woodfuel or for landscape mulch. Time and resources permitting, we are also happy to carry out general forestry contracting work; on either coniferous or broadleaved species. 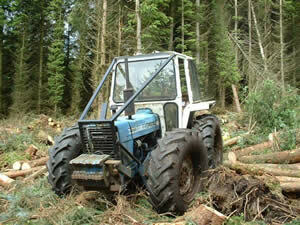 Our tractor based equipment is suitable to the small to medium scale of harvesting operation and is much less harmful to the woodland floor, especially in a thinnings operation.